Kung Hei Fat Choi! Happy Year of the pig! We had an exciting start back to school with the K1 Creative Art Jam, K2 Sharing the Planet Skit and a wonderful lion dance performance. Thank you to all the parents who volunteered and contributed to help us make these special events happen for the children. Please visit your child’s Class Blogs for more photos. 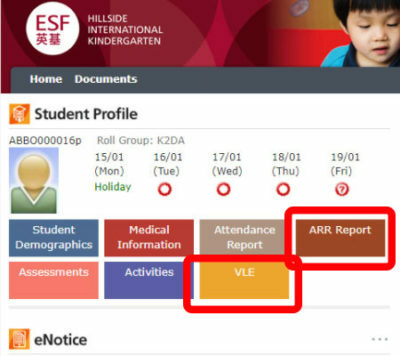 Please log into Gateway https://hs.tg.esf.edu.hk to access your child’s report. If you forgot your login details please use the “forgot password or login name” function. Gateway will send you an email for resetting password shortly. Select the relevant report template. This will create a PDF file that you can save as a soft copy or print out if you wish. If you have more than one child, select the appropriate child in the top left corner. Click on your child’s portfolio, under ‘Portfolio’ on the top menu bar. 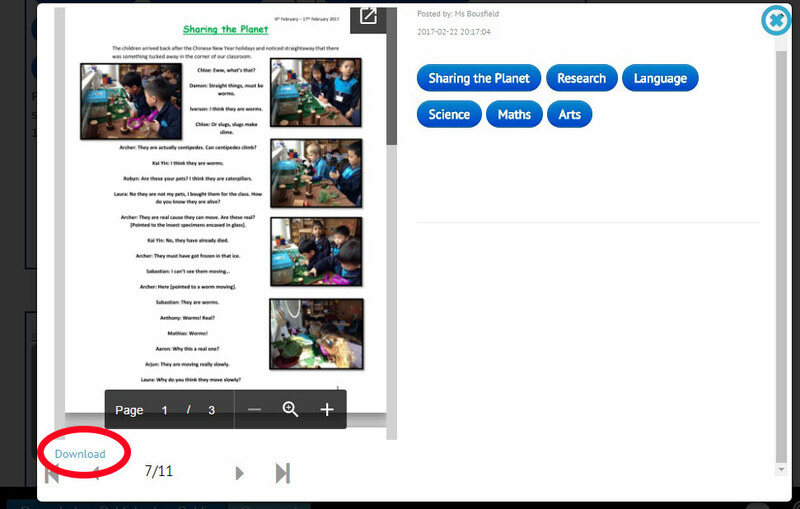 Click on the document symbol and your child’s portfolio should download automatically to your computer, and then you can save it as a PDF. 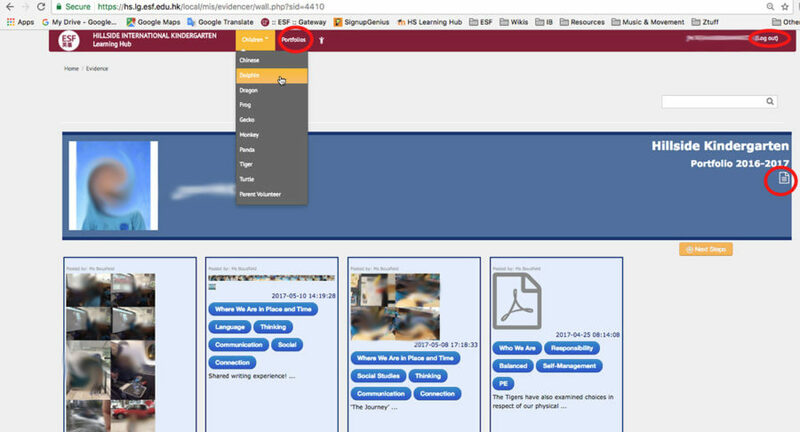 Don’t forget to also click on ‘Children’ on the top menu bar to visit your child’s class blogs. This is not downloadable. Please contact the office at admissions@hillside.edu.hk if you have any difficulties accessing these platforms. We have scheduled Peter Inglis, a professional photographer, to come on the 6 and 7 March 2019. We have worked with Peter in the past and he has been wonderful with the children. Peter has a selection of puppets and tricks along with lots of patience to make the children smile. The children are now developing their confidence and characters; I’m sure there will be lots of fun sessions throughout the day. Peter will be taking photographs of individual children, siblings and class groups. Please note that we will not force children to be photographed against their wishes. Siblings will also get an opportunity to be photographed together. A whole school photograph will also be taken. When available, you will be able to view the proofs online. More details will follow. There is no obligation to purchase. We cordially invite parents to join our next Bringing Active Learning Home (Art Focus) workshop on Monday, 18 March from 3:45-4:45pm. Please feel free to pop in if you are available. You are not required to make an appointment. Please note: This session is intended to serve as an informal opportunity for parents to gain some insight into our programme and see the children’s work around the classrooms. It is not intended to be a time to discuss your child’s progress formally. Are the children just playing? Or are they actively learning? This workshop aims to demonstrate what active learning looks like at Hillside, and we hope parents will take away ideas on how to support and extend learning at home. 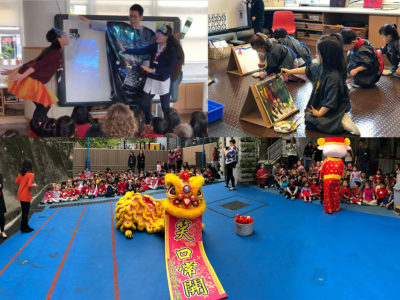 Our K1 and K2 teachers will each share different Creative Arts learning experiences with parents and explain the learning intention behind each one (with the aim of enabling parents to reinforce and extend their child’s learning at home). We hope that this parent workshop will provide parents in attendance with a bank of ideas and activities to do with their child at home.